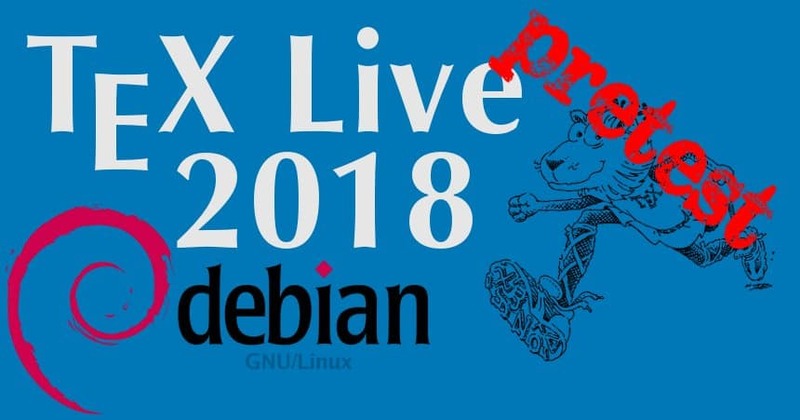 TeX Live 2017 has been frozen and we have entered into the preparation phase for the release of TeX Live 2018. Time to update also the Debian packages to the current status. This brings Debian/experimental on par with the current status of TeX Live’s tlpretest. After a bit of testing and the sources have stabilized a bit more I will upload all the stuff to unstable for broader testing. This year hasn’t seen any big changes, see the above linked post for details. Testing and feedback would be greatly appreciated.